Iron Man 3 Now Playing! 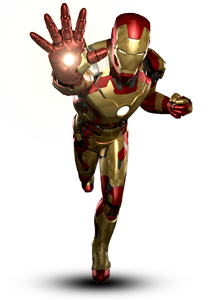 This year's highest grossing blockbuster Iron Man 3 is now playing at Fly Casino. Iron Man, War Machine, and Iron Patriot are ready to save the world and make you a winner! Get blown away in the main game with the All Systems Go feature or enter the Hall of Armor to choose from 3 unique sets of free games. This game is a blast and sure to be a hit for our members. Last week we announced Wild Wednesday and Secret Saturday and seems like everyone loved them. Well we are going to give you even more this week. Check below to see this week' promotions for our members. Spin 1,000 or more qualifying slot spins of $/€/£ .45 and higher on ANY slot on Tuesday July 16th, 2013 from 00:00 until 23:59GMT and you are automatically placed into the GUARANTEED random prize bin to win anywhere from $/£/€ 15-200.00. You're guaranteed a winning prize! Collect $/€/£ 100 free when you make your first deposit every Sunday during the month. You are entitled to receive a 50% up to $/€/£ 100 bonus immediately when you make your first deposit on any Sunday this month. When you signed up at Fly Casino we promised you an elevated gaming experience. Our team takes this very serious! Please give us your feedback on your experience so far by sending us an email at support@flycasino.com. We will continue to do our best to make your experience at Fly Casino the absolute best. Fly just launched so get to the tables and earn your way onto our weekly list of our biggest winners!